What Did We Learn From Gett's Acquisition of Juno Rideshare? What Did We Learn From Gett’s Acquisition of Juno Rideshare? Last Tuesday, it was reported that Gett was in talks to acquire Juno Rideshare and, within a day, the deal was done. Wow, that was fast! Later that day, Juno drivers got an e-mail from Juno telling them that “Juno and Gett are joining forces!” although it conveniently left out the fact that Juno was also going to get $200 million for the acquisition. Despite Gett and Juno’s cheery corporate message, I’m not a fan of this deal and I think Juno really took advantage of its drivers. Juno has always offered a lot of hope to rideshare drivers everywhere since, to their credit, they did a great job identifying the problems that Uber drivers have been facing over the years. That might not sound like a big deal, but one of the strangest things I’ve noticed in my three years of driving for Uber and blogging about the industry is that Uber just hasn’t cared much about improving the driver experience. 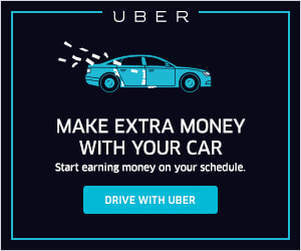 Uber drivers are always going to want higher rates and a tipping option but there are countless features, policies and programs that Uber has failed to take action on even though they would be mutually beneficial to everyone. Fixing Uber’s broken ratings system, paying drivers more to deal with UberPOOL and hiring knowledgeable customer service representatives all seem like basic tenets of a successful company, yet Uber’s customer service might even be worse than it was three years ago and 75% of drivers in Los Angeles (a top UberPOOL market) are still dissatisfied with their UberPOOL experience. The two most popular driver-friendly features of 2016 were a stolen Sidecar feature (Destination Filter) and the exact same idea Lyft came up with (Instant Pay). Don’t get me wrong, these are great features for drivers and help their bottom lines, but they’re not exactly the type of industry leading innovation you’d expect from a $70 billion company. And that’s why I was so impressed with Juno when they first came onto the scene. 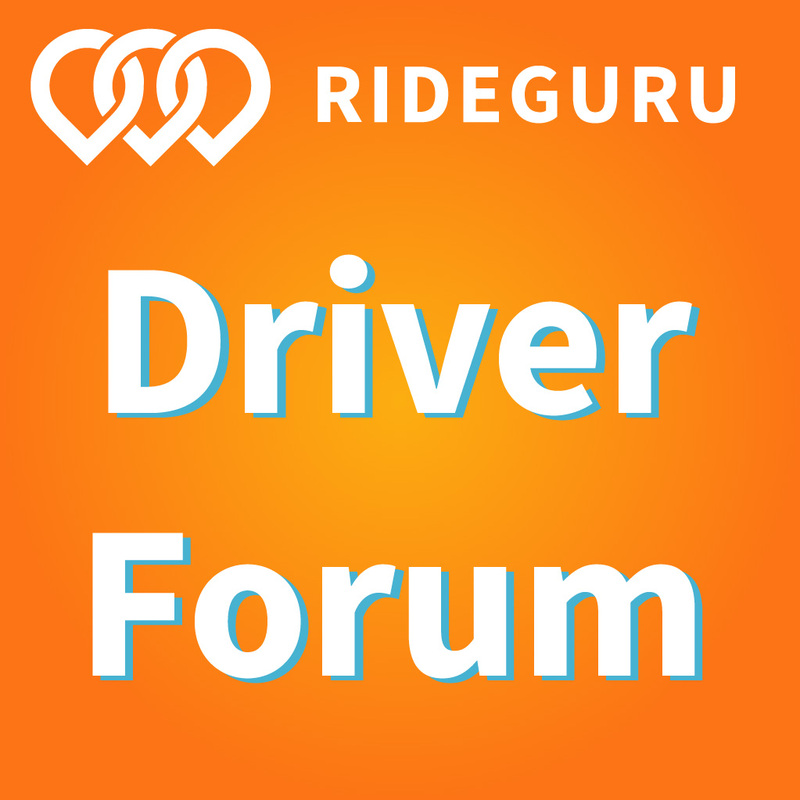 I didn’t completely buy into their whole ‘WE LOVE drivers’ attitude since we know that rideshare is a tough and expensive business, but I did give Juno a lot of credit for identifying drivers’ top concerns and actually addressing them with the platform. Juno Rideshare launched with lower commissions, 24/7 phone support, and equity for drivers, just to name a few of the driver-friendly features. Their founding team also had real start-up experience, and it seemed like they weren’t necessarily in it for the money/glory. Juno’s CEO, Talmon Marco, was already a wealthy man and he ‘proved’ that by reserving half of the founding shares for drivers (this turned out not to be the case, though). More than anything, I think Juno gave drivers a lot of hope. I can’t tell you how many e-mails I got over the past year that said things like, “I can’t wait until Juno gets here” or “When will Juno be expanding?” There was/is clearly an opportunity for a company that puts drivers first, since although being a rideshare driver has its benefits, we all know it could be so much better! So Where Did Juno Go Right? In less than a year, Juno was able to grow to just under 25,000 trips a day in New York City. That sum barely made a dent in the 250,000 trips a day Uber was doing and the 327,000 trips a day taxis were doing, but it’s still impressive considering the time frame, and I know Uber was definitely aware of Juno’s presence. When I visited New York at the end of 2016, Juno’s growth was palpable. Every Uber driver I talked to had at least heard of the company, if not already signed up, and when you look at the numbers, Juno had 12,299 active drivers on their platform compared to 43,105 with Uber. So even though Juno was doing 1/1oth of the ride volume of Uber, they had signed up almost 30% of Uber’s drivers to drive for them. That’s impressive. It’s safe to say drivers were buying into Juno’s message. Once Juno Rideshare opened up pre-registration to drivers outside of NYC six months ago, we posted a few links around the site and saw a flood of applications first-hand: 4,200 people used our link to sign up for Juno (turns out we won’t get paid a dime for any of those drivers LOL). So Where Did Juno Go Wrong? It’s hard to speculate what was happening inside the company over the past few months, but we can definitely narrow it down. In option one, Juno never really cared about drivers and was just looking to build market share as quickly as possible and then sell to the highest bidder. Honestly, it kind of looks like that’s what happened here, but I don’t want to believe that’s true. In option two, Juno was able to quickly gain market share but relied heavily on passenger incentives to do so. Signing up drivers turned out to be the easy part since all they had to do was poach existing Uber drivers. 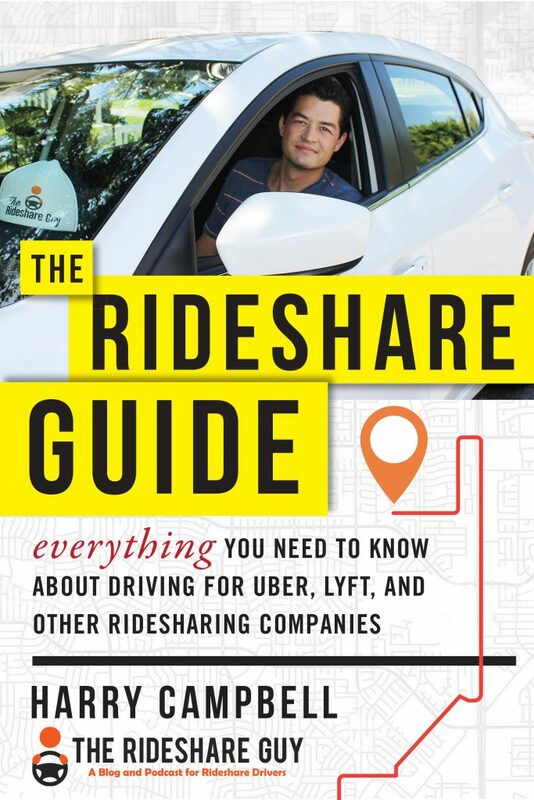 But since rideshare is becoming more of a commodity product, the only way to distinguish themselves to passengers was by offering way lower prices than Uber. And that’s exactly what Juno did. I saw the discounts first hand when I was in New York and, over the past few months, I’ve encountered people left and right who told me they loved Juno, but their main motivation for riding was because it was cheaper. These passengers may have seen ethical treatment of Juno drivers as an added bonus (see the note above in the receipt), but ultimately passengers care more about reliability and price. So the obvious problem with Juno’s passenger acquisition strategy was that it’s expensive. Remember, there’s a reason why Uber lost $3 billion last year, and even though Juno was well funded, they never had Uber bucks. If we assume a conservative $25 average fare and a 10-35% subsidy on each fare (new Juno passengers were getting 35% off their fare), that’s a loss of $2.50-$8.75 per trip. And when you multiply that by the 25,000 daily trips Juno was doing, that means they could have easily been losing anywhere between $1.9 to $6.6 million dollars per month. Juno was said to have only raised $30 million, so you can see how that pile of cash was probably diminishing pretty quickly. Ultimately, it seems like option two is the most logical explanation, since they ended up selling to a much larger and well funded company (Gett is said to be raising $700 million). But I still don’t like the way they treated drivers on the way out. I was surprised when I first saw news of Juno’s sale to Gett but, more than anything, I feel like they let a lot of drivers down. Uber has shown that you really don’t have to treat drivers that well to build a mega company but Juno was going to be the ‘Trader Joe’s’ of rideshare and put drivers first. But the act of selling went directly against that notion. There’s a reason why Gett is the least popular option in NYC, and Juno was the fastest growing rideshare company in NYC. Drivers wanted to be a part of Juno and believed in their mission. And while some drivers have criticized Juno Rideshare and said that they got way too much credit for saying they were going to treat drivers better, to their credit, they clearly identified the main problems drivers were facing. But selling to Gett feels almost like Juno gave up on drivers, and that’s why so many drivers are upset. From a financial standpoint, the optics of this sale look terrible to drivers. Juno is going to be walking away with $200 million, but what about those shares that drivers were promised and had been working their butts off for? Based off everything we’ve seen, the whole Restricted Stock Unit (RSU) thing has turned into a mess. Juno has put an Uber-like curtain over the entire process, and most drivers will be getting a $100-$200 payout – yet Juno is coming away with $200 million. The RSU program was somehow nullified by this sale, and in order to claim the $100-$200 payments, drivers have to agree to a cash incentive program with Gett. Not equity ‘like they had’ with Juno. If Juno had 12,000 active drivers and they all got a $100-$200 payment, that’s only a $1.2 -$2.4 million payment. So what about the other $198 million? I know it’s a complicated situation, but Juno should have been way more transparent with this sale and laid out exactly how much everyone is getting from founders and employees all the way down to drivers. I also know that Juno and Gett’s PR teams have basically refused to talk to drivers and the press, which makes it look like they’re hiding something. 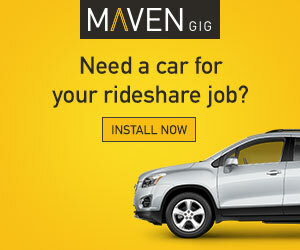 Gett is a popular Israeli-based rideshare service, but New York City is their only US market. They had a couple PR bumps when they first launched in the US because they planned on offering no surge pricing (great idea, not!) but they’ve struggled to gain any type of real traction. They’ve actually operated in New York since 2013, but I doubt you’ve heard of them if you live outside the city. As of February 2017, Gett was doing just 9,800 trips per day, which put them in last place in the rideshare wars in NYC. But more than anything, Gett doesn’t have a reputation for being a driver-friendly operation the way Juno does. I’ve never heard bad things said about Gett, but as their numbers show, they’re just sort of there. To Gett’s credit, they are a big player outside the US and they are well funded. With backing from Volkswagen, they could be a potential force to be reckoned with in the future, but right now they’re not a real threat. Will Juno Drivers Stick With Gett? If Juno really was hemorrhaging money, selling to Gett was probably one of their best options. But one of the reasons why this deal surprised me was because I don’t think Gett is going to get the best parts of Juno. When I met with Juno drivers in person, they talked about Juno like they were a part of the company, and that relationship isn’t going to magically transfer over to Gett. If anything, Juno showed how easy it is to acquire new drivers – just offer them a superior experience and give them some equity. In order to have a shot at retaining these drivers, Gett is going to have to provide a similar driver-focused experience, but they’ve already nixed the RSU program in favor of cash incentives. Not a great start. Will Juno Rideshare Passengers Stick With Gett? I’m sure Gett and Juno compared customer lists before doing this deal, but I don’t think it’s been proven that Juno has established a real customer base yet. They’ve offered steep discounts and done a bunch of rides because of it but those aren’t real customers. And while I’d love to say that consumers care about supporting ethical companies, at the height of Uber’s recent streak of bad terrible press, they actually booked more trips in a single week than they ever had before. That tells me that consumers don’t care much about the company they’re riding with – they really only care that the car shows up and it’s cheap. It’s not hard to have two rideshare apps on your phone, and I think over time, many of these Juno passengers will go back to Uber or other services as subsidies start to disappear. So I’m really not sure what Gett is buying here. Competition is usually a good thing for consumers and in rideshare, there aren’t many companies that treat drivers as the customer. Uber was founded because Travis and Co. needed a ride, not because they were looking for a better way of life for taxi drivers. And it shows – with policies, programs, features and the way they treat their drivers. I’m obviously biased because I run a site for drivers, but I think Juno was on to something. They still had a lot to figure out, but there was no doubt in my mind that drivers were passionate about the company. I’m disappointed with how things unfolded, but I’m even more disappointed with how Juno Rideshare treated drivers on the way out. Ultimately, whether it was business or greed that got in the way, it doesn’t matter – that ship has sailed. I’m optimistic by nature so I’ll give Gett a chance, but I’m not expecting them to usher a wave of change amongst the driver ranks. Ultimately, Juno may have been drivers’ best shot and while they’re long gone now, it doesn’t mean that the opportunity for someone else has disappeared. Drivers, what do you think of the news that Gett is acquiring Juno? Were you surprised? Were you an NYC Juno driver, and how did you find out about the acquisition?